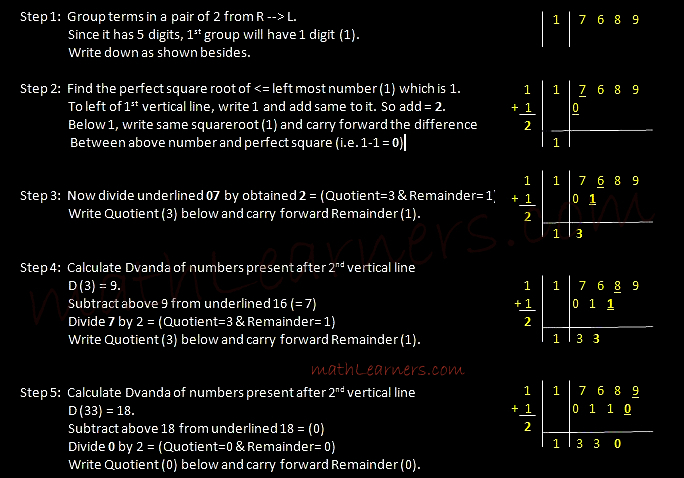 Shortcut to calculate square-root of a (perfect/imperfect square) number using Vedic Mathematics. Previously seen Dvanda Yoga ( द्वन्द् योग ) Sutra will be required. 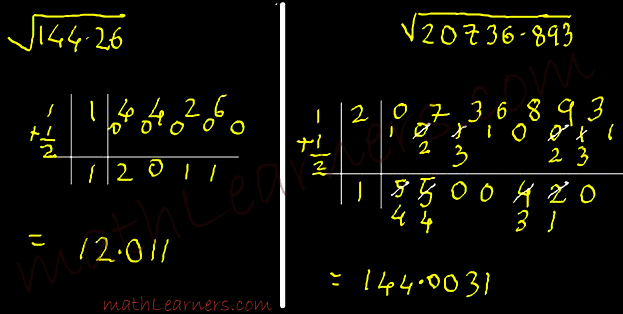 Lets see shortcuts to find square root of any number in Vedic Mathematics. 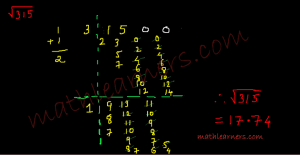 Similarly,For decimal numbers, decimals are not considered till the last answer and they are put in similar ways of previous shown problems. No issues Paulo. I am happy this helped you. 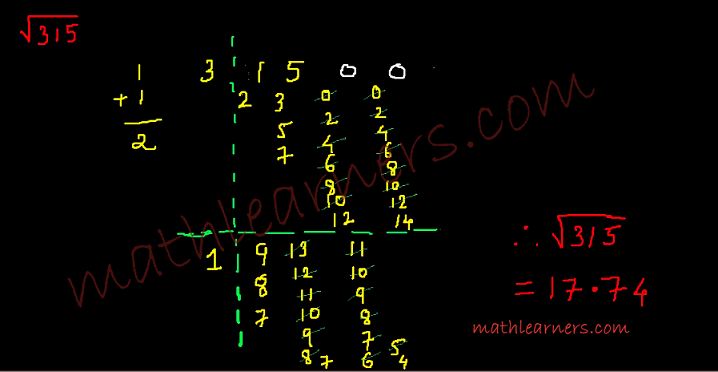 Keep Learning Vedic Mathematics at same time dont ignore regular methods of Mathematics as well. Please share this blog with your friends, relatives. 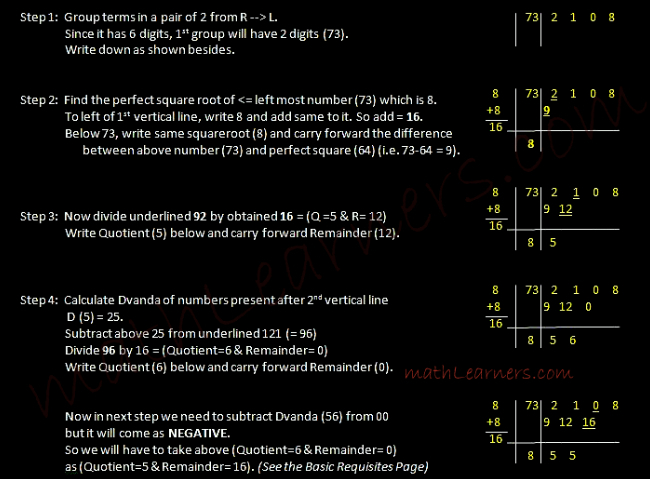 i want to find square root of 107.36942 , with dvandva yoga pls help me……..
Let me know the step you are stucked. Let me know step you got stuck ..